Denmo is the founder and CEO of Earthbody, an organic day spa for healing in Hayes Valley. 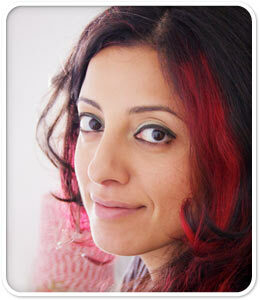 She also formulates Earthbody Organics, a therapeutic line of bodycare inspired by the principles of Ayurveda. Denmo is a successful entrepreneur, highly sought healer, wellness educator, playwright, poet, and performer. Denmo leads the Integral Workshop programs of Anatomy of Healing© and Posture of Joy© yearly. She holds a Master of Fine Arts from Naropa University and a Bachelor of Fine Arts from Boston University. She is a graduate of the World School of Holistic Healing, Mount Madonna Institute’s School of Ayurveda, School of Body Mind Centering, and San Francisco School of Massage. Along with leading Earthbody, Denmo offers private consultations weaving in her background as somatic therapist, holistic coach, wellness educator and meditation instructor. She has spent years exploring body mind practices in retreat, community, and business. Interested in working with Denmo? Schedule a private consultation. I believe Earthbody was created, in part, by you. This is your home. You are invited to retreat here and return to your senses. Whatever it is you choose ~ a restorative treatment, a totally unique product we’ve created, an empowerment workshop, or holistic coaching ~ my hope is that you simply reconnect to your most fundamental relationship to the Earth and the body. In this way, we become whole, the heart softens, and our vision for life unfolds. May you be wildly in love, healthy, and at peace.